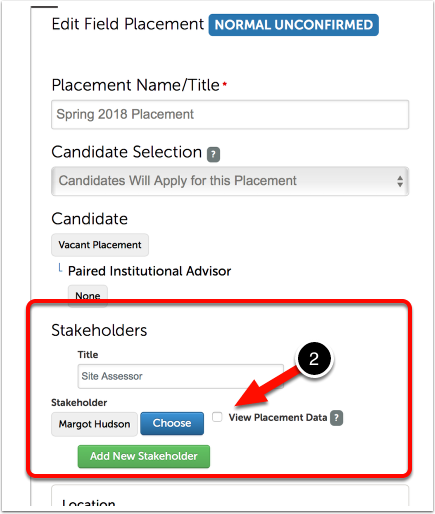 Administrators can select which Stakeholders on a Placement will have the ability to view the assessment results and survey responses completed by all users associated with a Placement. The ability to select the View Placement Data option appears when creating a Singular Placement or when creating a Template, which can be used to create one or more Placements. The feature is not available, however, when importing Placements. The Stakeholder field must have a user associated with it. The Placement must have planned assessments and/or surveys associated with it. How Can I Enable the "View Placement Data" Option? Using the tabs along the top of the Placements screen, select Placements or Templates. What you select will depend on whether you are editing an existing Placement (select Placements) or an existing Template (select Templates). 1. Locate the Placement or Template in question and click on it to reveal its options. Select Edit or Edit Placement. You may only add the "View Placement Data" option to a Stakeholder if the Placement is unconfirmed. If the Placement has been confirmed and started, the Stakeholder will not be able to view the candidate's results without the use of an Advisor Group. Ensure that the Placement has at least one planned assessment or one planned survey. 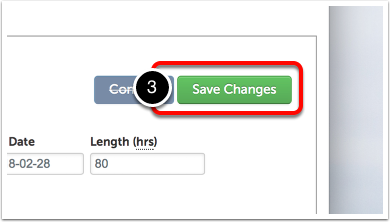 One or more planned assessments and/or surveys are required to enable this feature. 2. Scroll down to the Stakeholders heading on the Placement's edit screen. Select the View Placement Data option. 3. Click on the green Save Changes button.